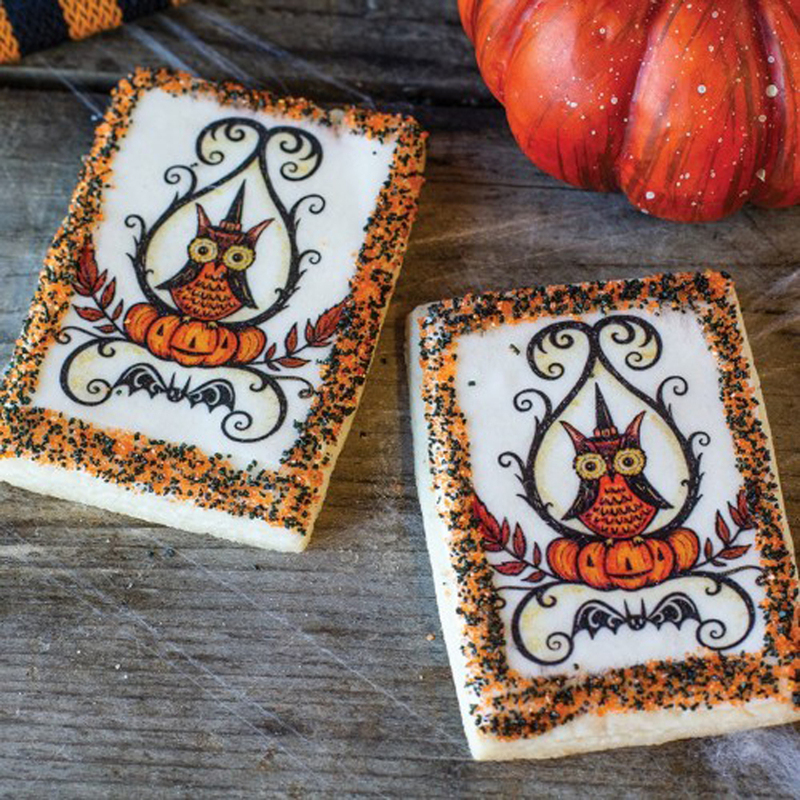 The Hooty Owl wafer paper design is a Johanna Parker original design reproduced on our edible wafer paper. 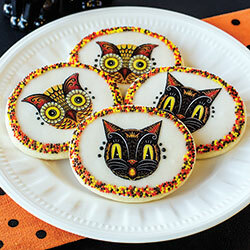 Cookie with this design will be a great addition to your Halloween party. Each design measures approx. 1.75" x 2.75". The edible designs are shown on a 3" x 2" rectangle cookie. Set includes a total of 24 edible designs. Illustrated instructions included. 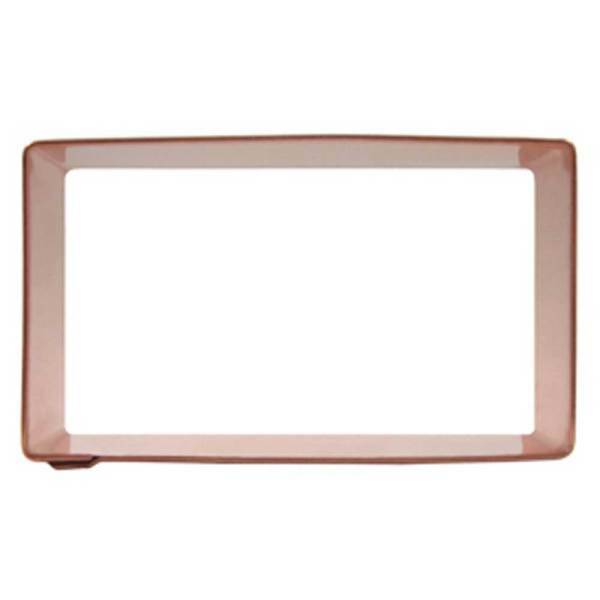 We used our 3" x 2" rectangle cutter # 42R3X2 in copper to make these cookies, along with our Black and Orange Sugar mix # 59PC90B to decorate the edges. Each set of wafer paper is accompanied by illustrated instructions showing step by step instructions for applying edible wafer paper to cookies. Wafer paper can also be used on fondant, chocolate, cupcakes and cakes. 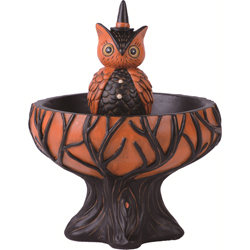 Johanna Parker is a nationally recognized folk artist and illustrator of collectible Halloween, holiday and seasonal designs with a vintage appeal.